When your business depends on a range of printed materials, you can count on consistent and professional quality from an HP OfficeJet Wide-Format Printer. 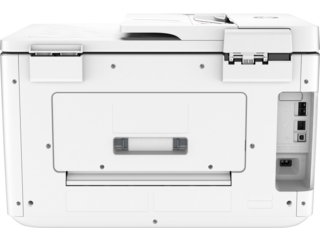 Cut out recurring trips to the print shop with an independent solution that can satisfy even the most particular needs. Produce materials that are formatted up to 11x17 inches (A3) without batting an eye or sacrificing print quality on a powerful HP 11x17 printer. 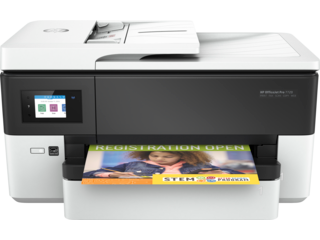 You rely on quality of work and materials to produce eye-catching promotions, so why not rely on a printer designed for you? 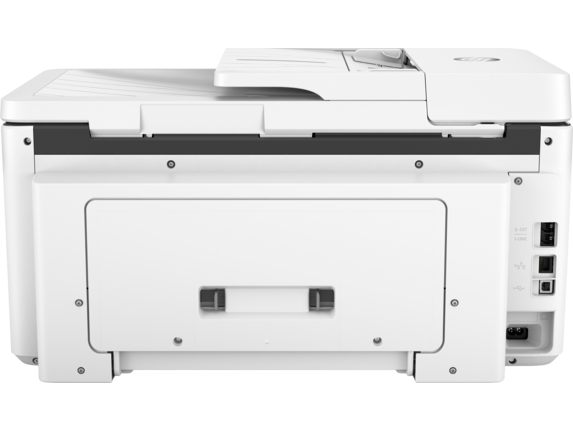 It even boasts certification from Energy Star® and an EPEAT® silver rating, so it won’t make too much of a dent to your power budget, either. Beyond their durable trays and standard hardware, HP large format printers are also designed to function as a serious hub for your office or workspace. 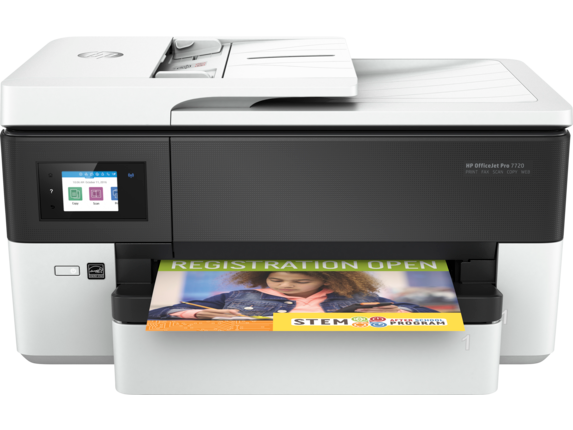 For most businesses with a high volume of oversized print needs, you’ll choose between our powerful HP OfficeJet Pro 7270 or the expanded, high-capacity HP OfficeJet Pro 7470. 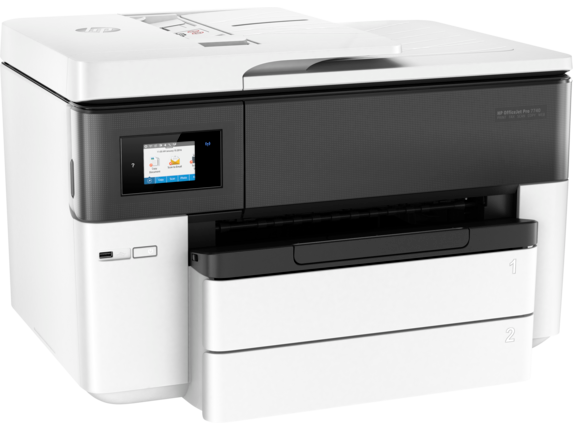 Both are solidly built all-in-one printers packed with everything you need to scan, copy, and yes, even fax. 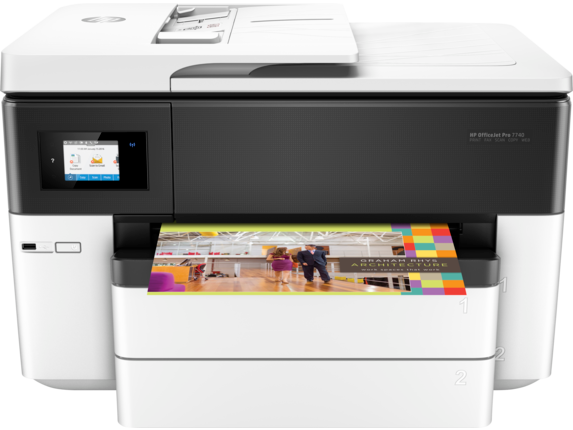 Which is right for you? 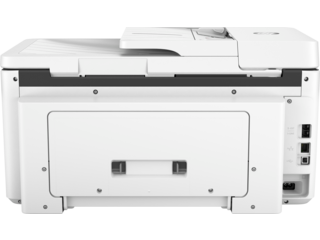 Both offer similar specs, but the HP OfficeJet Pro 7470 comes with an additional standard paper tray so that you can stockpile for bigger jobs. 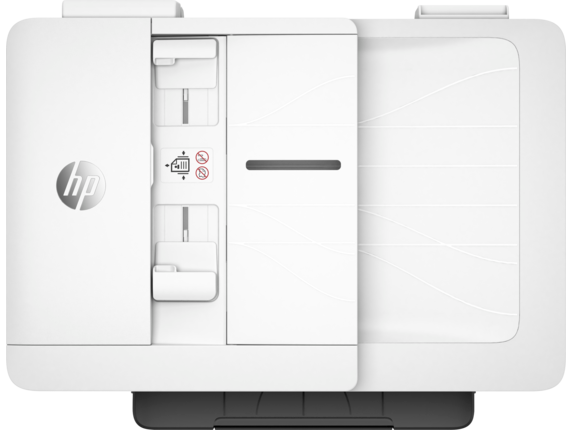 Offering a big boost versus typical laser printing technology, our HP OfficeJet Pro line boasts regular savings of up to 50% compared to typical printing costs. 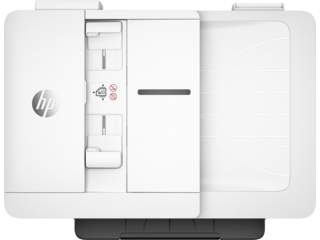 You’ll save even more using HP’s efficient high-yield ink cartridges, with each supplying ink for as much as 3 times the typical number of printed black pages and twice the typical number of color pages. Concerned about keeping up with your high print volume? For piece of mind and a reliable print on every job, we certify the HP OfficeJet Pro for a monthly duty cycle of up to 30,000 pages. On the move? 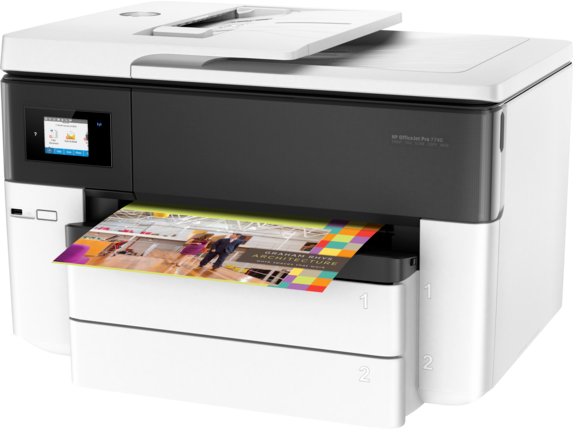 It’s a cinch to set up for mobile printing from a range of smart devices. 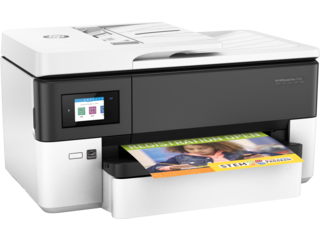 If you don’t need to print larger formats but still want a great enterprise solution, look no further than our HP OfficeJet line of printers for an accessible range of small office and personal solutions. 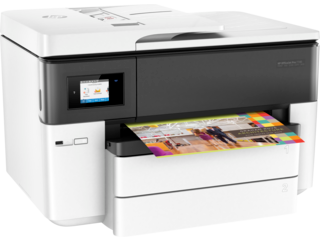 And remember, many models are compatible with our cost-saving and convenient HP Instant Ink service. 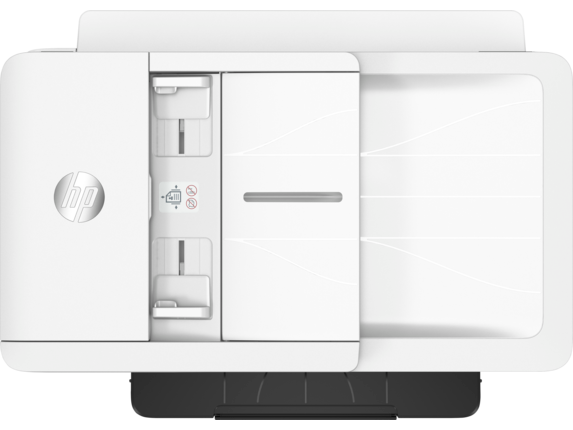 Or if you’re looking for something more powerful without the large format configuration, try an HP LaserJet Pro Multifunction Laser Printer. 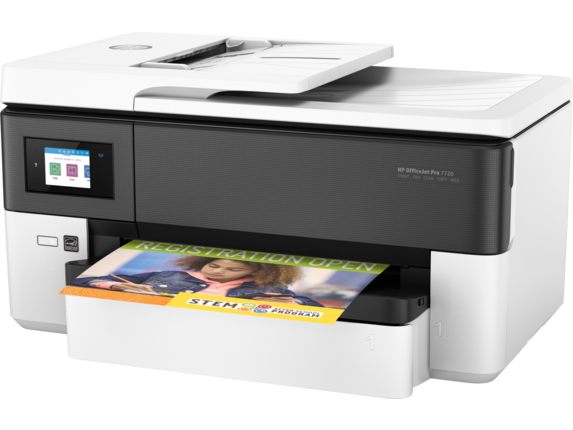 With plenty of options to choose from, you can shop with confidence whether you’re looking for an HP Wide-Format Printer or one of our many other printing solutions.